Artist Andrew Carnie is exhibiting two works as part of this year’s visual arts programme from Summerhall, Edinburgh International Science Festival and ASCUS. 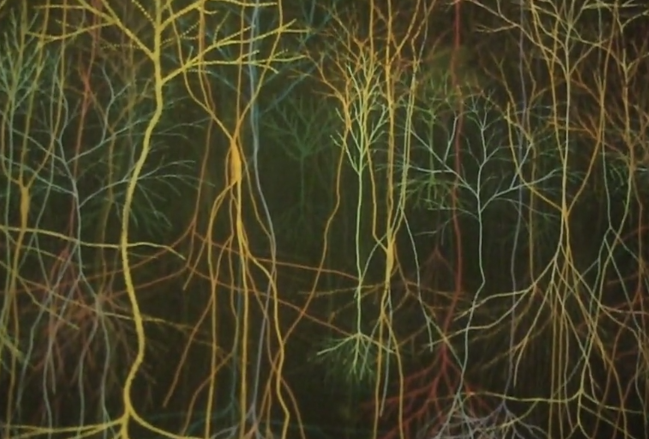 Slice is a slide-dissolve work that explores the body as a theatre of action, and Magic Forest, a dream-like journey through a sea of developing neurons. His practice involves work with scientists and focuses on themes around neurology.